Principles of love, work, self-reliance, and consecration are God given. Those who embrace them and govern themselves accordingly become pure in heart. As we meet with Church members around the world, one challenge seems universal: having enough time to do everything that needs doing. Among those who have few resources, the need is for more time to secure the necessities of life. Among those who have sufficient, the need is for more time to attend to the niceties of life. The challenge is daunting because time is fixed; man can neither lengthen out the day nor extend the year. The world is the culprit. As the world grapples with more efficient ways of managing time, it lures us into more and more earthly pursuits. But life is not a struggle with time﻿—it is a struggle between good and evil. Calling thee from lands of woe. God shall all her tow’rs o’erthrow. Ere his floods of anger flow. Among the doctrines that give rise to this highest order of priesthood society are love, service, work, self-reliance, consecration, and stewardship.12 To better understand how we can build Zion on these foundational truths, let us consider four of them. “Jesus said … Thou shalt love the Lord thy God with all thy heart, and with all thy soul, and with all thy mind. “And the second is like unto it, Thou shalt love thy neighbour as thyself. Self-reliance comes next. It is the harbinger of personal agency and security. This Church and its people are commanded by the Lord to be prepared, self-reliant, and independent.17 Times of plenty are times to live providently and lay up in store. Times of scarcity are times to live frugally and draw on those stores. I bear witness that these things are true. President Gordon B. Hinckley is God’s prophet on the earth, as was Joseph Smith Jr. The kingdom of God is The Church of Jesus Christ of Latter-day Saints and will become Zion in all her beauty. Christ is the Savior of the world, the Beloved Son of the living God, the Holy One. In the name of Jesus Christ, amen. Deseret News Weekly, 5 June 1872, 248; emphasis added. Joseph Smith Translation, Matt. 6:38. “Israel, Israel, God Is Calling,” Hymns, no. 7. See 4 Ne. 1:16; see also 4 Ne. 1:1–18. In Conference Report, Paris Area Conference 1976, 3. D&C 105:32; see also D&C 68:25–31; D&C 82:14; D&C 115:1–6. In Conference Report, Oct. 1989, 70; or Ensign, Nov. 1989, 53. In Conference Report, Oct. 1991, 78; or Ensign, Nov. 1991, 59. See Spencer W. Kimball, “‘And the Lord Called His People Zion,’” Ensign, Aug. 1984, 2–6; Tambuli, Dec. 1984, 2–9. Moses 4:25; see also Gen. 3:19. See D&C 78:13–14; D&C 38:29–31. 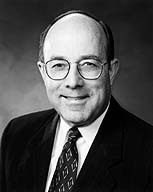 Spencer W. Kimball, in Conference Report, Oct. 1977, 124; or Ensign, Nov. 1977, 77–78; see also 1 Tim. 5:8. See Providing in the Lord’s Way: A Leader’s Guide to Welfare (welfare handbook, 1990), 5. See Ensign, Aug. 1984, 4; Tambuli, Dec. 1984, 7. Teachings of the Prophet Joseph Smith, sel. Joseph Fielding Smith (1976), 231–32; emphasis added.